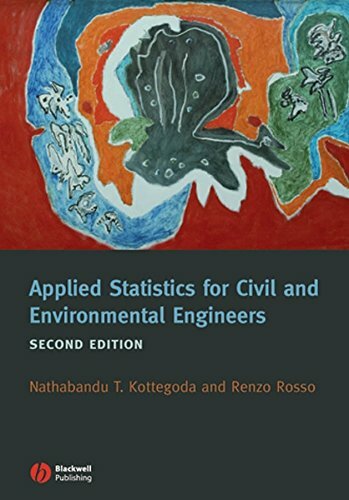 Civil and environmental engineers need an understanding of mathematical statistics and probability theory to deal with the variability that affects engineers' structures, soil pressures, river flows and the like. Students, too, need to get to grips with these rather difficult concepts. Nath Kottegoda has been a Visiting Professor at the Politecnico di Milano since 1990. He obtained a first-class honours degree in civil engineering from the University of London as an external student from Sri Lanka. After professional experience in structural, irrigation and water engineering, he received MSc and PhD degrees from the Department of Civil Engineering, University of Birmingham, where he subsequently lectured. He has also taught and conducted research at several universities in the US, Italy, India and Australia. He is the author of Stochastic Water Resources Technology, reviewed in the US as a classic, and coauthor of the forthcoming book Extremes of Nature – An Approach using Copulas. Renzo Rosso has been Professor of Water Engineering at the Politecnico di Milano since 1986. He received a degree in hydraulic engineering from the University of Genoa in 1975 and has conducted research and taught at the National Research Council of Italy, the Universities of Genoa and Florence, the University of Foreigners of Perugia and Colorado State University. He is the author of several books and over one hundred refereed papers. His professional experience includes projects on mitigation of hydrological hazards and water system analysis, planning and design in Europe, Africa and South America. Kottegoda, N. T., Rosso, R.
Kottegoda, N. T.; Rosso, R.